Explore the magic of Alexandria city and sightseeing in a private day trip to Alexandria from Cairo joined by a private tour guide where you will visit the finest attraction in Alexandria “The Jem Mediterranean Sea“, such as Alexandria Library, The Catacomb, Pompey’s Pillar, Citadel of Quitbay, Morsi Abu Alabass, then we will drive back to your hotel. -Tour Location will be in Alexandria. Morning time, we will transfer you from your hotel in Cairo by a private air-condition car and Egyptologist tour guide to start your day trip to Alexandria from Cairo by visiting The Catacombs which is called also the tombs of Kom al-Shqafa, they are the largest Roman tombs found in Alexandria, it dates back to the 2nd century AD, the tombs are carved in the rock under the ground and decorated with engravings. The design is characterized by the fusion of Egyptian art with Greek and Roman art, then continue your day trip to Alexandria from Cairo through driving to Pompey's Pillar which is the highest monument in the world and one of the most famous archeological sites in Alexandria. It is located in the area of "Karamouz", its height is about 27 meters. The column was built in the third century AD to commemorate the Emperor Diocletian. The location of the column gives it an additional feature because it is located in the center of the lobby of the "Serapeum Temple", its place is prominent and possible to be seen from a distant place, continue your trip by visiting Qaitbay Citadel that was built on the site of the Lighthouse of Alexandria, it was established in 1477 AD. Then stop to have your lunch at a local restaurant and enjoy fresh seafood. 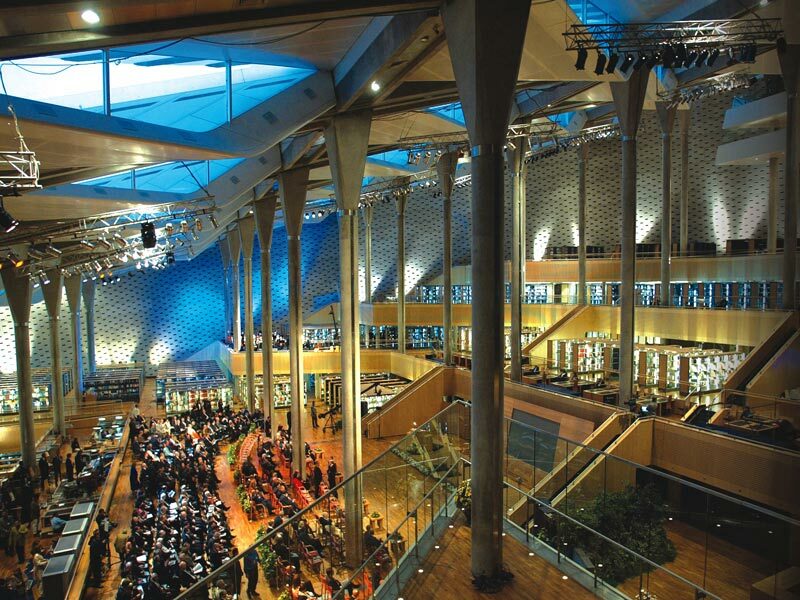 Enjoy a guided tour to Alexandria Library which is one of the great literary libraries in the world. 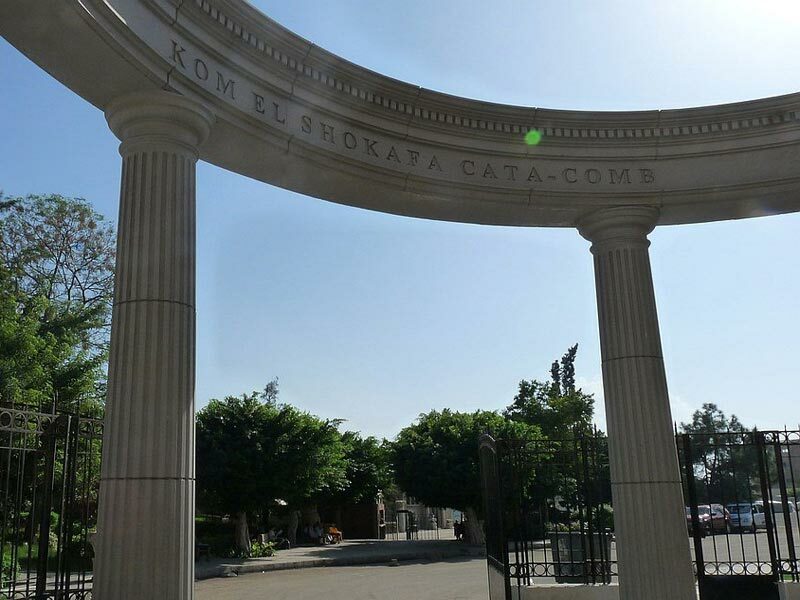 End your day trip to Alexandria from Cairo by visiting Morsi Abu Alabass. One of the most important Islamic tourist destinations in Alexandria, the history of the mosque dates back to ancient Islamic times. The mosque is characterized by its beautiful and attractive domes. After that, we will drive you back to your hotel in Cairo. Note: If you can't find what you are looking for, then check our Cairo day tours and choose your trip. Pick up services from your hotel & return . Lunch meal at a Sea View restaurant. Mineral water on board of the vehicle .